Dan Carden, newly elected MP for Liverpool Walton, visited Woodlands Hospice recently to hear about the work of the Hospice and meet with staff and volunteers. 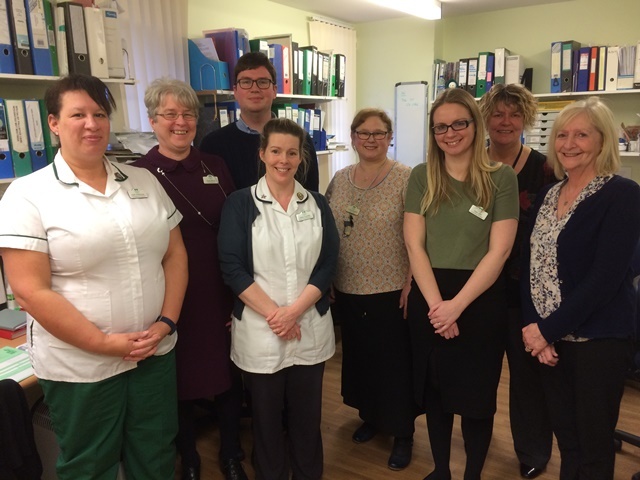 Rose Milnes, Chief Executive at the Hospice said: “We very much welcomed the opportunity to host the visit of Dan so early in his appointment of MP for Liverpool Walton and were delighted with the interest he showed in all our services." During his visit Dan Carden said: "Woodlands Hospice is of vital significance to people in my constituency and beyond, providing care for people living with life-threatening illness in an environment of peace and comfort. I can't speak highly enough of the amazing work done by the team at Woodlands to support patients and families in north Liverpool." If you would like more information about the work of the Hospice or if you would like to find out how you can help support the care provided at the Hospice please contact the hospice on 0151 529 2299.